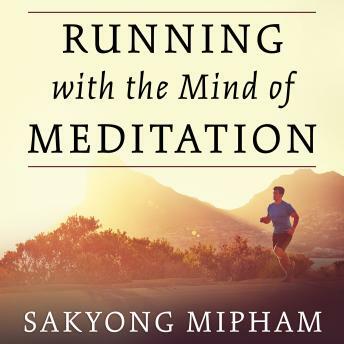 As a Tibetan lama and leader of Shambhala (an international community of 165 meditation centers), Sakyong Mipham has found physical activity to be essential for spiritual well-being. He's been trained in horsemanship and martial arts but has a special love for running. Here he incorporates his spiritual practice with running, presenting basic meditation instruction and fundamental principles he has developed. Even though both activities can be complicated, the lessons here are simple and designed to show how the melding of internal practice with physical movement can be used by anyone-regardless of age, spiritual background, or ability-to benefit body and mind.